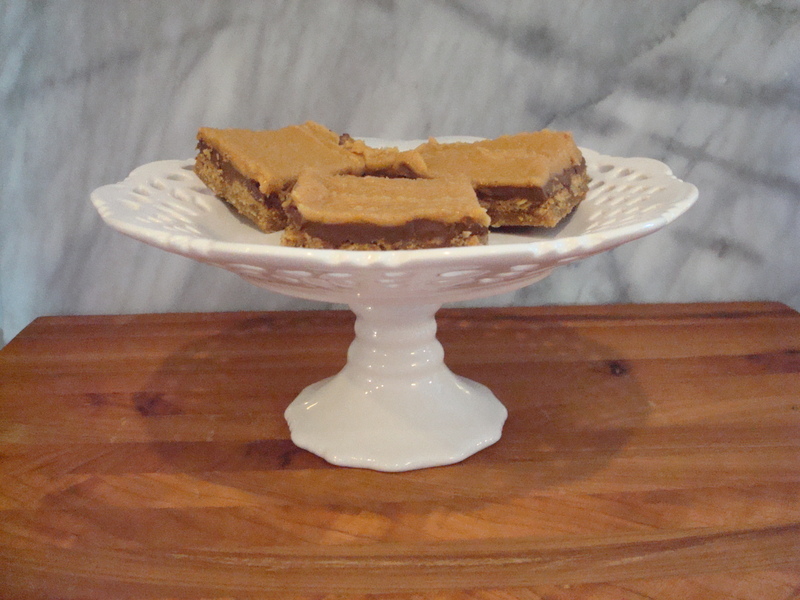 Peanut Butter Fingers | EASY AS PIE! Preheat oven to 350 degrees. Cream butter and sugars. Blend in egg and peanut butter. Add soda, salt, vanilla, flour, and oats. Mix well then press into pan. Bake in a greased 9×13-inch pan for 20-25 minutes. Sprinkle chocolate chips over the top while hot, place back in the oven (turned off) for a minute or less. Spread the melted chocolate with a spatula. Cool. Frost with peanut butter frosting. Cut into bars, or “fingers”, for serving. Combine all, stirring the milk in until it reaches the desired spreading consistency.